According to the current guidelines surgery is not recommended in the metastasized stage of pancreatic cancer; however, in clinical practice surgery including resection of the primary tumor and metastases is performed in individual cases. This review article summarizes the currently available evidence based on the published studies. A systematic search in MEDLINE and PubMed was performed with respect to metastasized pancreatic cancer and surgical resection. The evidence level is not sufficient to answer the question as to whether patients in an oligometastasized stage should be operated on or not. 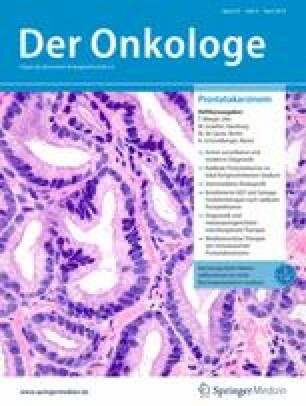 The available retrospective studies show a technical feasibility of synchronous resection of the primary tumor and metastases with a possibly beneficial oncological outcome for specific patient groups. Based on the currently available evidence, a general treatment decision for patients in an oligometastatic stage cannot be derived. Therefore, prospective clinical trials are necessary to answer the question of which patients could benefit from a combined resection of primary tumor and metastases embedded in a multimodal treatment concept. C. Bruns, F. Gebauer, F. Scheufele und H. Friess geben an, dass in Hinblick auf diese Arbeit kein Interessenkonflikt besteht. Dieser Beitrag beinhaltet keine von den Autoren durchgeführten Studien an Menschen oder Tieren, nur eine Zusammenstellung der vorhandenen Literatur.